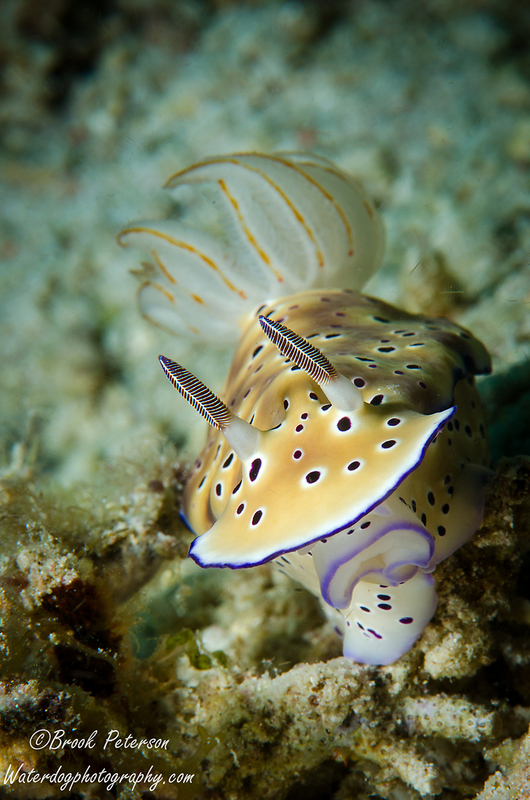 Are you a Nudiphile 2? 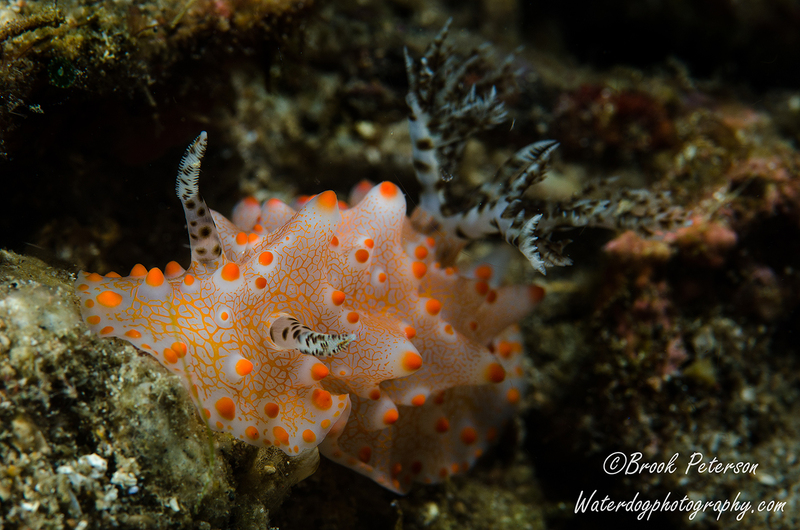 In the early months of this blog, I wrote about my obsession with nudibranchs. 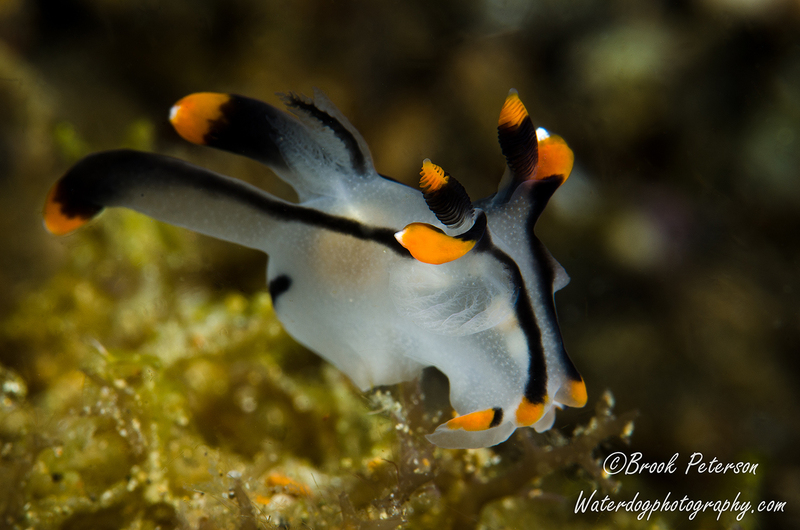 I had discovered that I favored browsing the internet for photographs of nudibranchs, which led to the realization that I was a nudiphile. Since that time, I have gone into underwater therapy a number of times to see if perhaps I could be persuaded by other critters. But no, the tendency only worsened. The sluggish things are so colorful and charming. They seem to smile at the camera and I just can’t help but stop to photograph them. 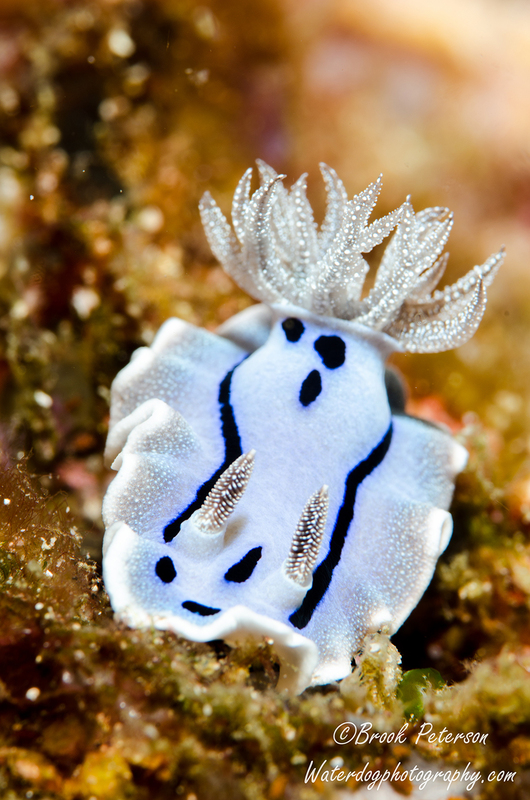 This little lovely (above) is known as a Pokeman or Pikachu nudibranch. It belongs to the Dorid family. They are about an inch long and are one of the more interesting slugs in the sea. This colorful Hypselodoris was the only one of it’s kind to grace me with it’s presence. For some reason, it reminds me of a clown, although less humorous and more refined. Perhaps it is a French clown. 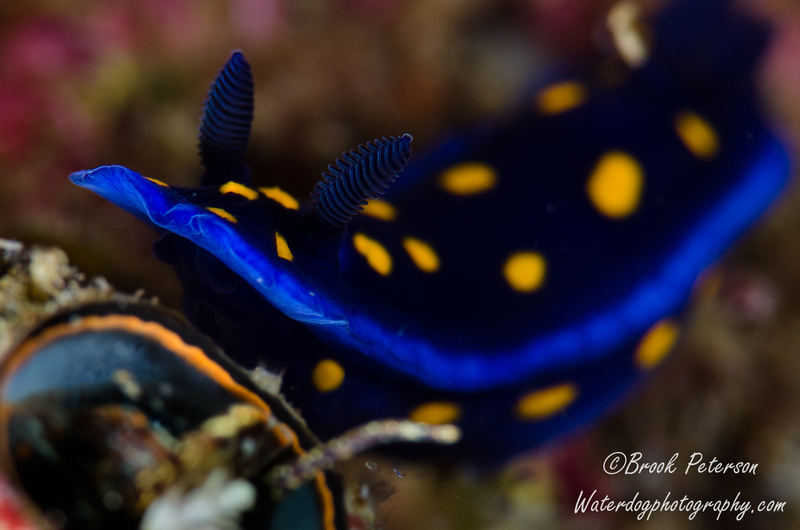 Here a Chromodoris appears to be wearing a jeweled crown. 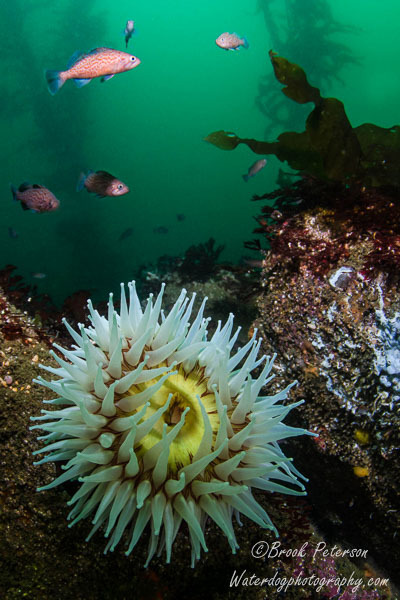 One of the amazing things about nudibranchs is their ability to blend in with their environment, or their ability to stand out in their environment. This Batangas Halgerda does a little of both. 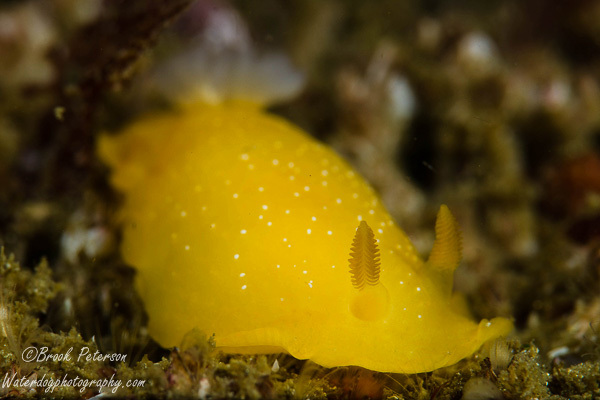 It’s body stands out, while it’s rhinophores and gill branches resemble plants in it’s environment. 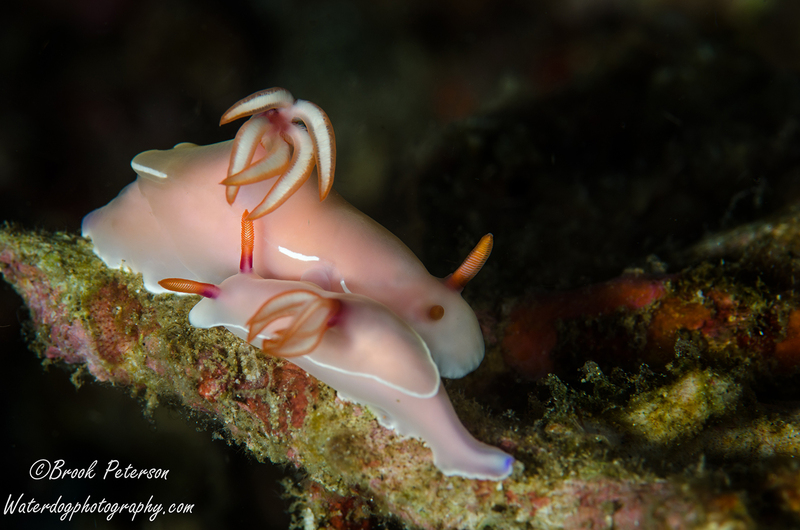 These two breeding hypselodoris are wonderful to photograph because of their creamy pinkish coloring that looks like glass. 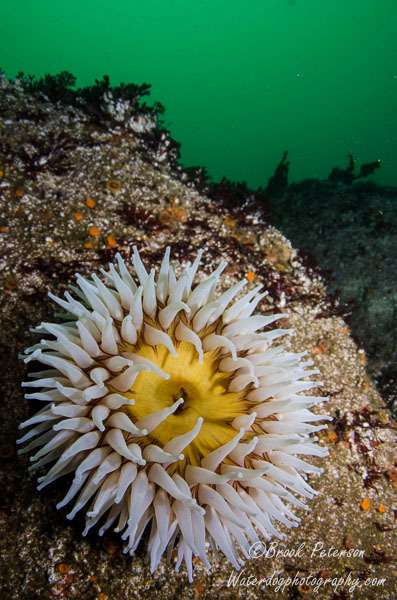 Unfortunately for this Yellow-Tipped Phyllodesmium, it is a tasty meal for fish. Most nudibranchs seem to be left alone perhaps because their remarkable coloring announces they might sting or be poisonous. Here’s an interesting specimen. Hey, you got a bug on your face! 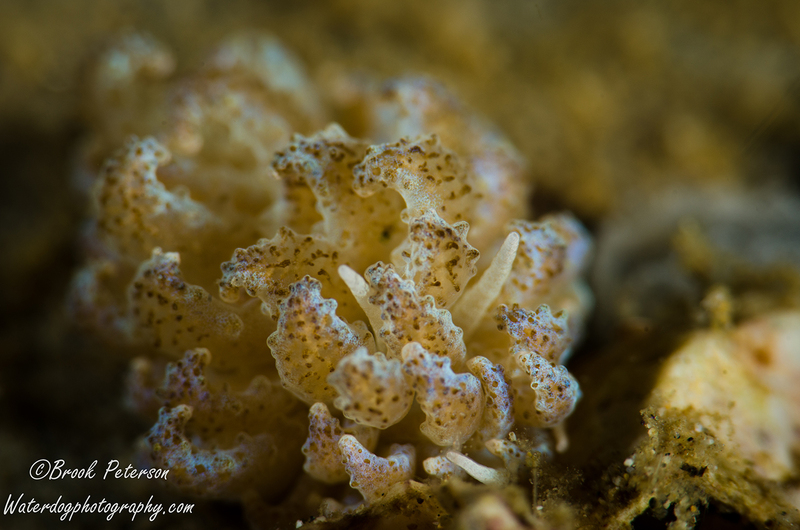 Here’s another example of a “blender.” It looks so much like the soft corals in it’s environment, that you have to search for the rhinophores to determine if it is a coral or nudibranch. Of course, the corals don’t crawl. This guy has a mantle that flaps up and down as it crawls across the sea bed. So intriguing to watch, it is no wonder my fetish for sea slugs is only growing. Admit it. 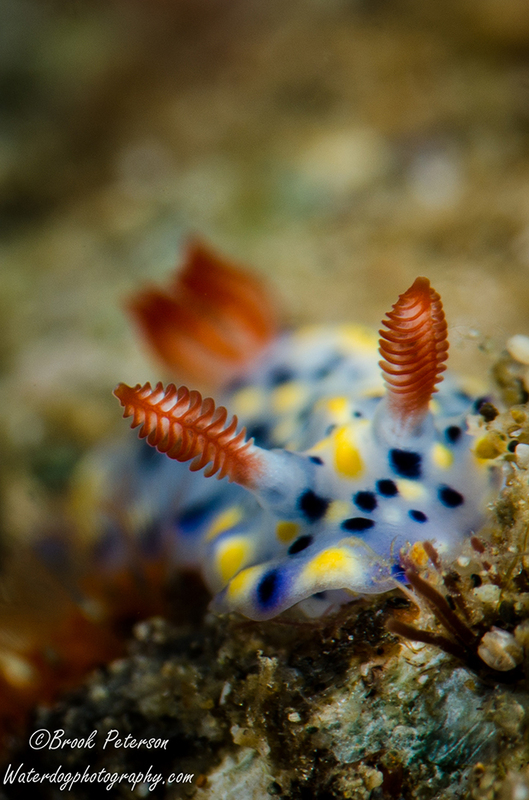 You are a closet nudiphile too. Sir Arthur Conan Doyle said, “It has long been an axiom of mine that the little things are infinitely the most important.” Maybe the Sherlock Holmes in me agrees and that is why I am fascinated by the little things. 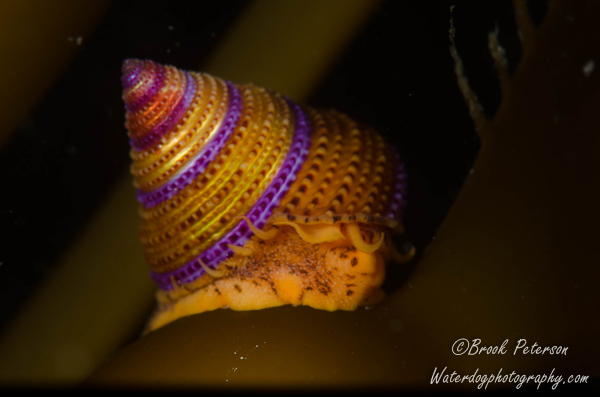 In this post are some of the tiniest things I have found in the ocean. All of them are smaller than one or two centimeters, and some of them I can’t explain. 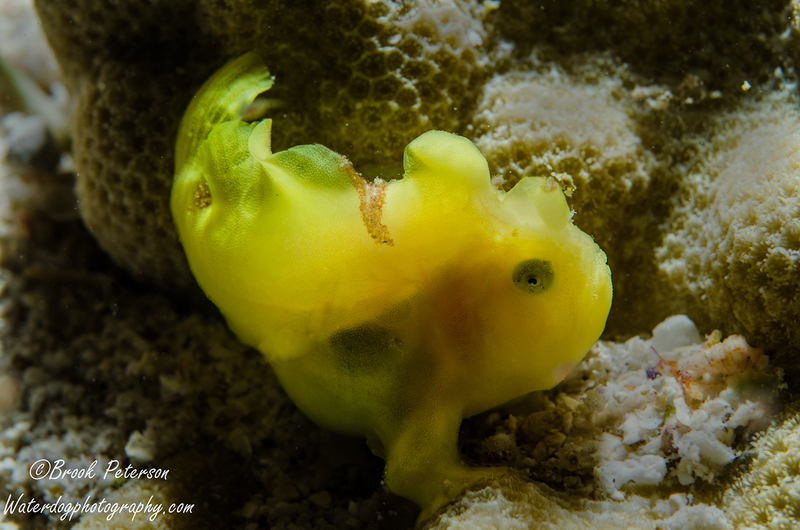 This is a juvenile frogfish. It was no bigger than my thumbnail. They “hop” around on their front “legs” like a frog. As they get older, they take on the coloring of their environment and become almost invisible to predators and their prey. 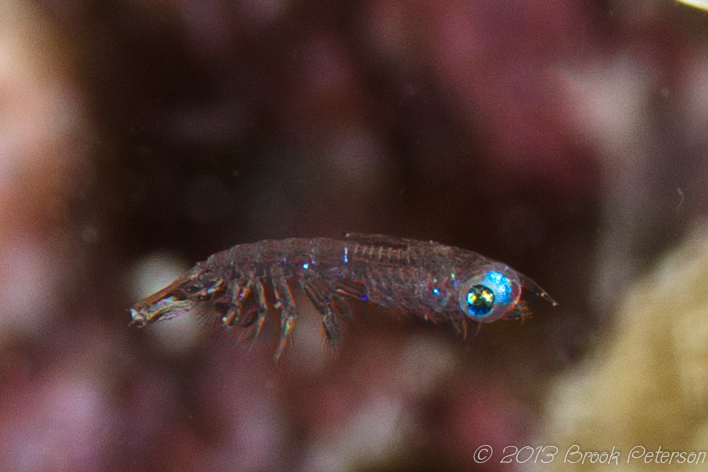 Here a ghost shrimp poses on a Red Gorgonian. Only 5 mm or so, I could not see it without a magnifying lens. 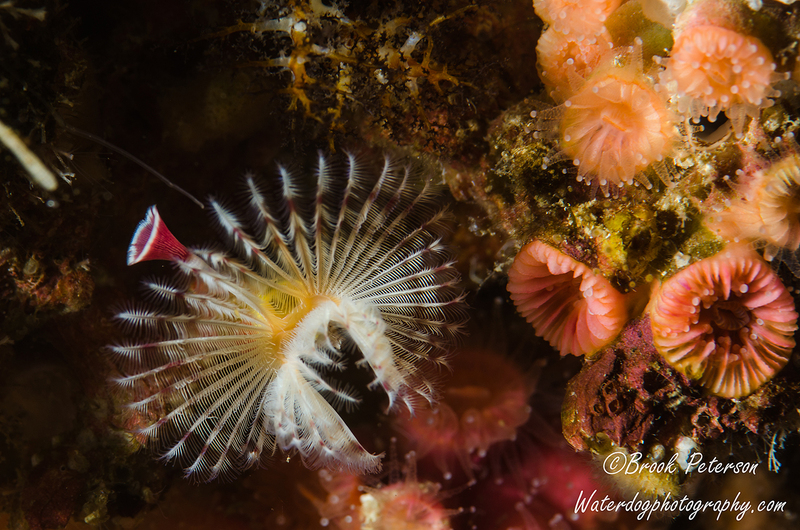 The tube worms (above and below) are about two centimeters when their plumes are fully open. The Pygmy seahorse (Hippocampus bargibanti) is a highly prized subject to photograph because of it’s super camouflage and general cuteness. This one was about a centimeter in length. 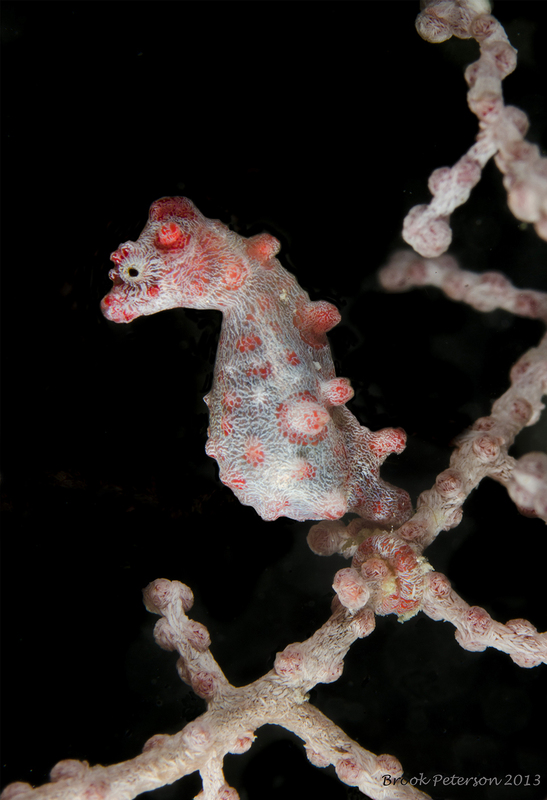 This Hippocampus bargibanti (Pygmy Seahorse) is one of the tiniest creatures in the sea, although this particular seahorse is one of the largest of the Pygmies. It can get up to 3/4 inch. 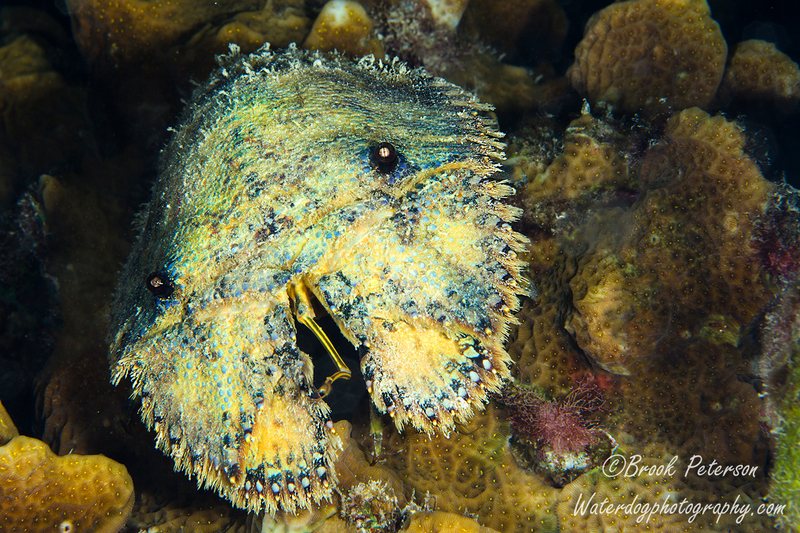 They have amazing camouflage and are almost impossible to find on the sea fans they inhabit. 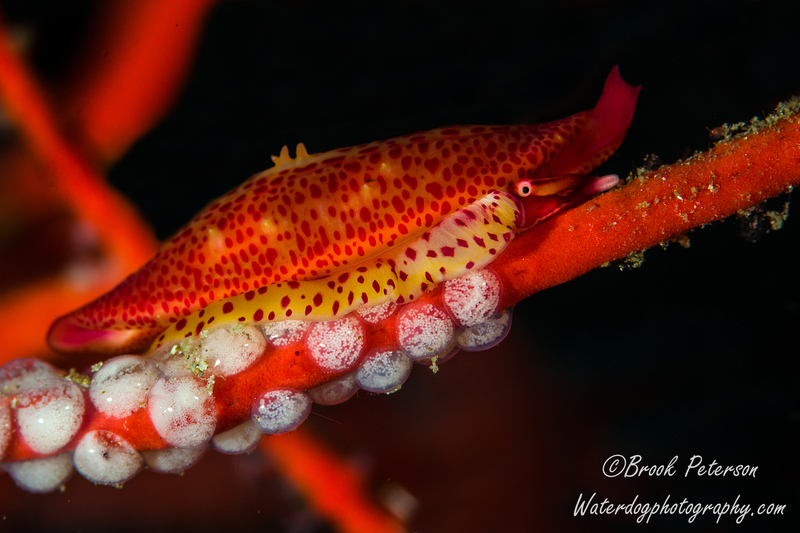 One of my favorite subjects to photograph is the nudibranch. 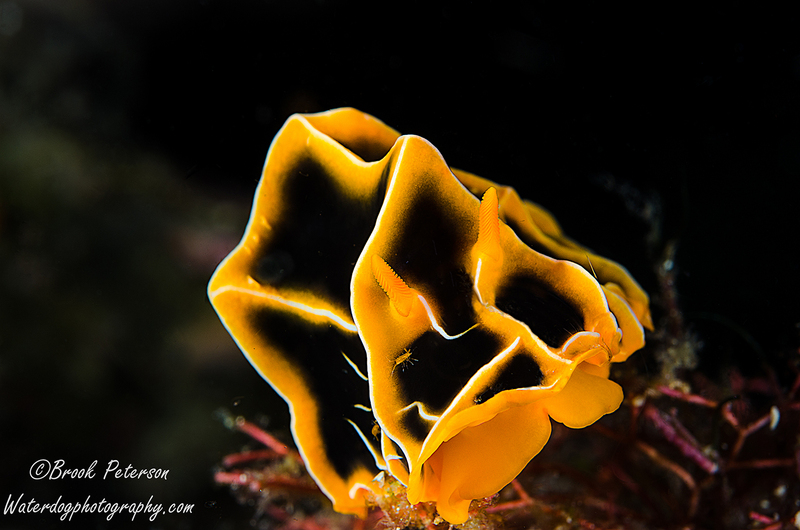 This one is known as a California Chromodorid (or Hypselodoris californiensis). Although they can get up to 90 mm, this one was no longer than 10 mm. 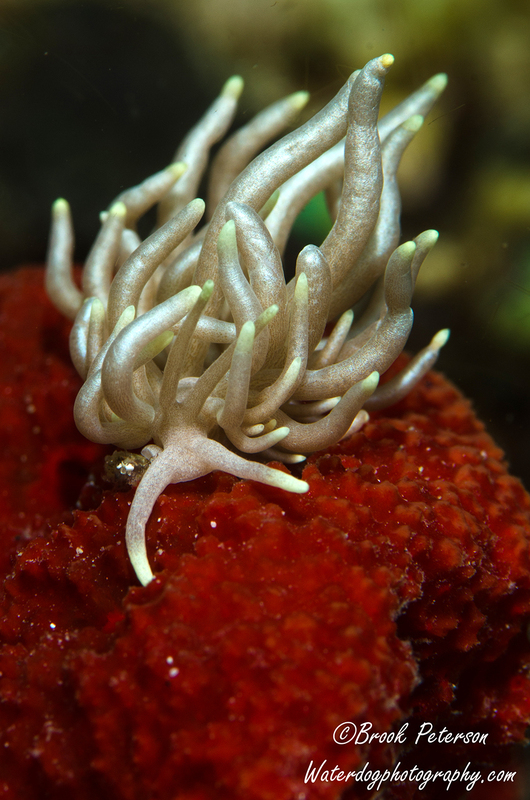 A colorful Simnia (Delonovolva aequalis) lays eggs along the stem of a red gorgonian (below). It’s shell is around two cm long. If not for the eggs, it would have been very difficult to see, as it blends nicely with it’s environment. Sometimes, things show up in photographs by accident. In the two photos below, I had another subject in mind, but when I blew up the image on the computer screen, I discovered tiny creatures. 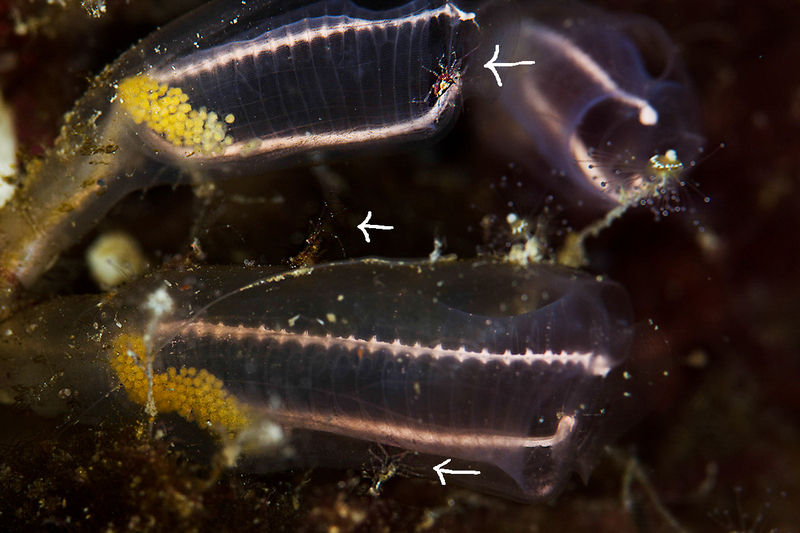 The first one is obviously a shrimp, about 2mm in length. The second is anyone’s guess. Just critters that resemble bugs. They are marked with arrows, and are less than 2mm. In this case, the Sherlock in me gives way to Doris Lessing who said, “Small things amuse small minds.” She may be right. 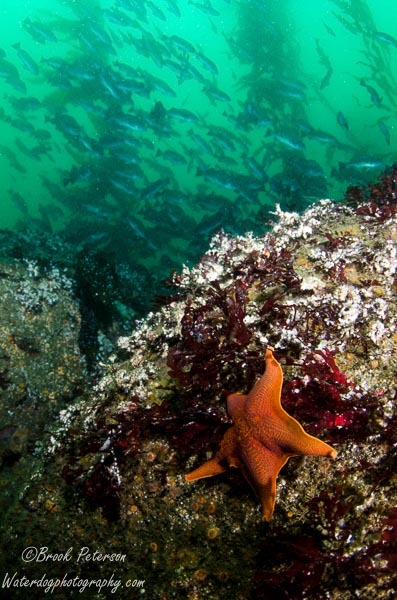 If you have never been scuba diving, it might be hard to put in to perspective the size of the unusual creatures that are found under the sea. The Peltodoris nobilis (Noble Dorid) might look bigger than a bread box compared to other nudibranchs. They average in size around two inches, but can get up to 8 inches long! 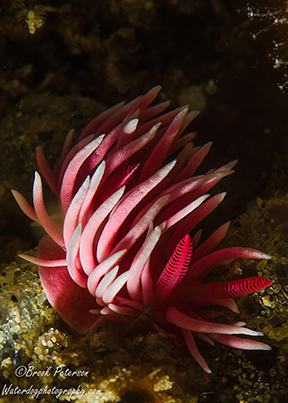 By comparison, this dorid, Okenia rosacea (Hopkin’s Rose,) is only about a half an inch long and could fit between the rhinophores of the Noble Dorid. It’s papillae are very tall, and make it difficult to see it’s branchial plume. Both these dorids are found in Southern California. 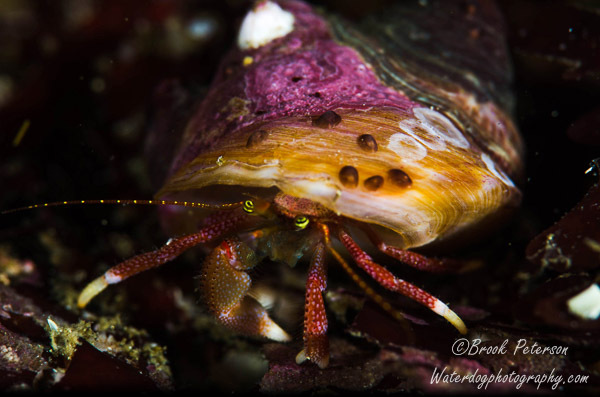 Hermit crabs are a favorite for photographers. 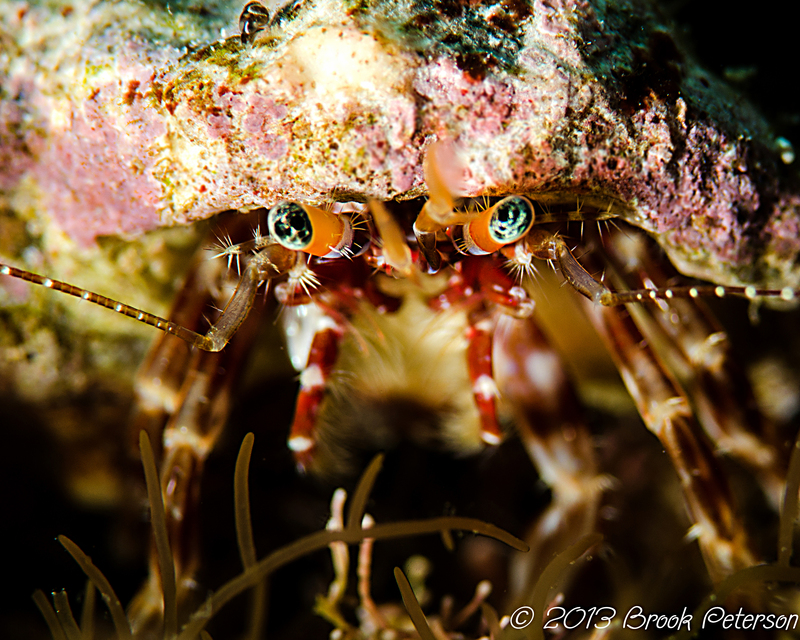 Their eyes are curious and expressive (for a crab). This one’s shell measures about 1 inch long. This slipper lobster is roughly the size of a salad plate. It isn’t a tiny creature, but it is far smaller than a breadbox!